For many distributors, the hardest part of prospecting and presenting is the first sentence. If the first sentence is good, the prospect becomes interested and engaged. If the first sentence is bad, it is hard to recover the prospect’s interest and confidence. 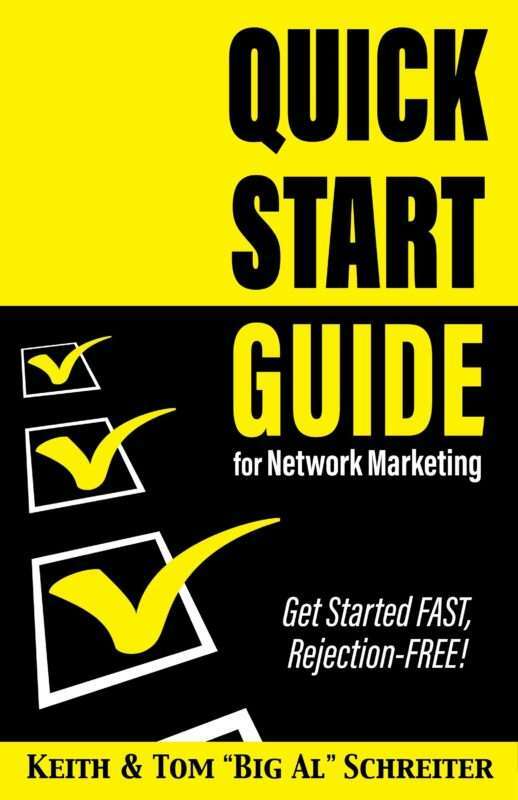 Do new distributors have proven first sentences when they join? Do they feel confident that their first sentence will get the prospects on their side? And that means they are fearful of talking to prospects, or in some cases, won’t talk to prospects at all. Our prospects guard their time, so they are especially brutal when judging our first sentences. They want to limit their time spent listening to presentations that won’t interest them. And most times, they make that entire judgment in the first few seconds. 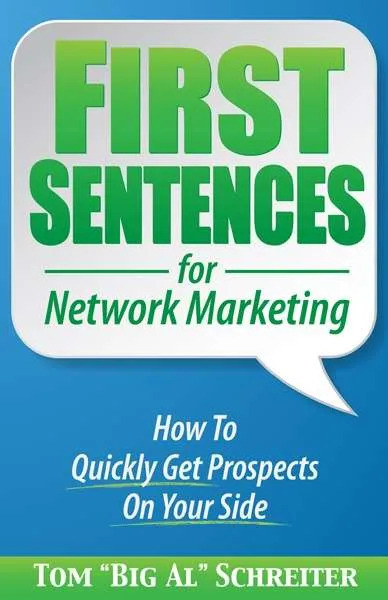 Discover many types of successful, fun first sentences in this book that get positive engagement from prospects.You want your prospects on “your side” when presenting. You can’t start with a second sentence, so your first sentence better be good.